Festival lanterns of Loi Krathong streak through the sky above the Chao Phraya river in Bangkok (ARCHIVED PHOTO on the weekends - originally photographed 2010/11/21). 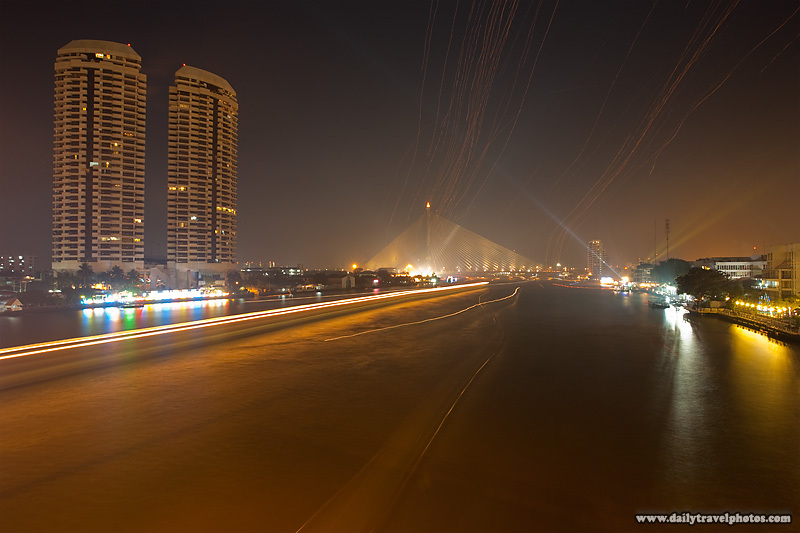 This is the same Chao Phraya river that's swollen and flooding various parts of Bangkok at the moment. Despite the flooding, I wish the Thai people to have an equally joyous Loi Krathong this year (November 8, 2011). 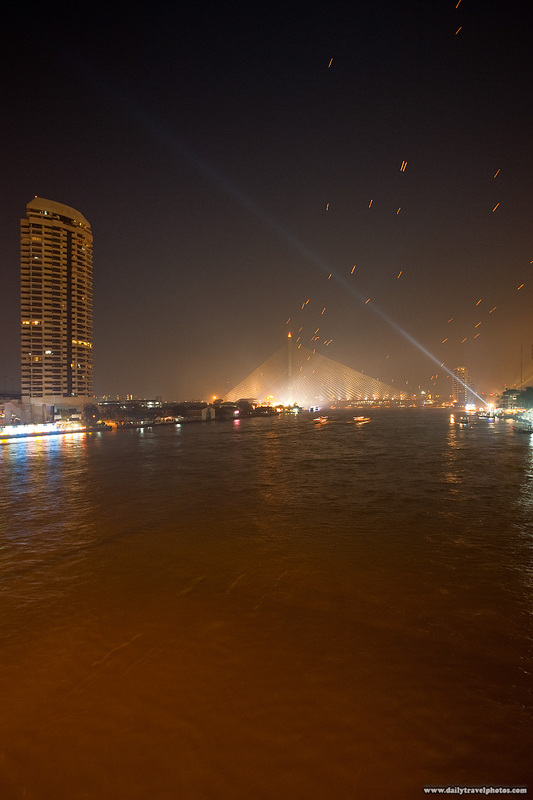 Lanterns fly through the night's sky above the Chao Phraya river in Bangkok (ARCHIVED PHOTO on the weekends - originally photographed 2010/11/21).